Sleeping near a person who snores can seriously interrupt sleep. “If only the snoring would stop,” you think. Then it does. Peaceful as it is, that’s not always a healthy sign. Snoring is related to a condition known as sleep apnea. If you have sleep apnea, your nighttime breathing is interrupted and doesn’t return promptly. Sleep Apnea can be a life threatening condition. The airflow into your body is delayed by more than 10 seconds. That may not sound like much, but it’s a serious situation. This breathing interruption can happen up to five times in an hour during sleep. If you snore loudly and nightly, you’re at higher risk for sleep apnea than the occasional snorer. 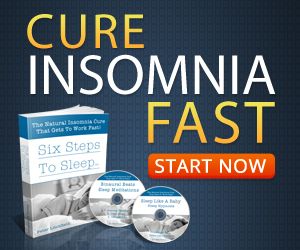 Discover Sleep Apnea Symptoms, Treatment and Diagnosis. Other signs of sleep apnea are episodes of daytime fatigue and emotional distress or skill deficits when you’re tired. Sleep apnea seems to start most often in middle age and afflicts more men than women. Large neck girth. That’s determined by using a tape measure. The danger level is 17” or greater for men and 16” or greater for women. A supervised sleep study is needed to diagnose sleep apnea. A home monitor can be used for children as well as adults to track breathing interruptions. You have many options for treating sleep apnea. You can be fitted for a dental appliance, an orthodontia device that you wear at night. Basically this appliance changes the tongue placement so that the airway is clear for breathing. Losing weight is also important to moderating sleep apnea. Along with losing weight, you need to be in an exercise program. Many people report that their sleep apnea completely disappears once they lose weight and get back to a normal, healthy range. Wear a Continuous Positive Airway Pressure (CPAP) masks over your nose and mouth to force air into your nasal passages in a continuous flow. This is not the most comfortable way to sleep, but it has been highly effective. Most people get used to the machine and rely on it to deliver a good night’s sleep. Surgery would be last resort to fix a sleep apnea disorder. Surgeons widen your palate, restructuring your nasal cavities and or removing your tonsils. Make sure you don’t ignore your snoring and mistake it as something harmless because if it’s sleep apnea, you’re putting your life at risk!